This tribal mood bead cuff bracelet changes colors with the temperature of your body or environment! 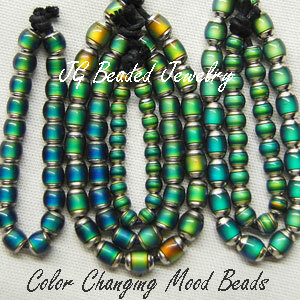 There are a total of 9 beads, 7 of which are mod beads. 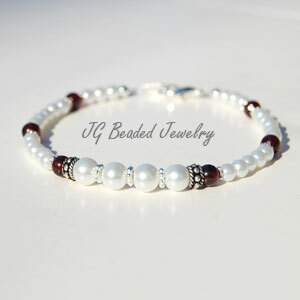 The center mood bead has a tribal design on it and is really cool to look at. 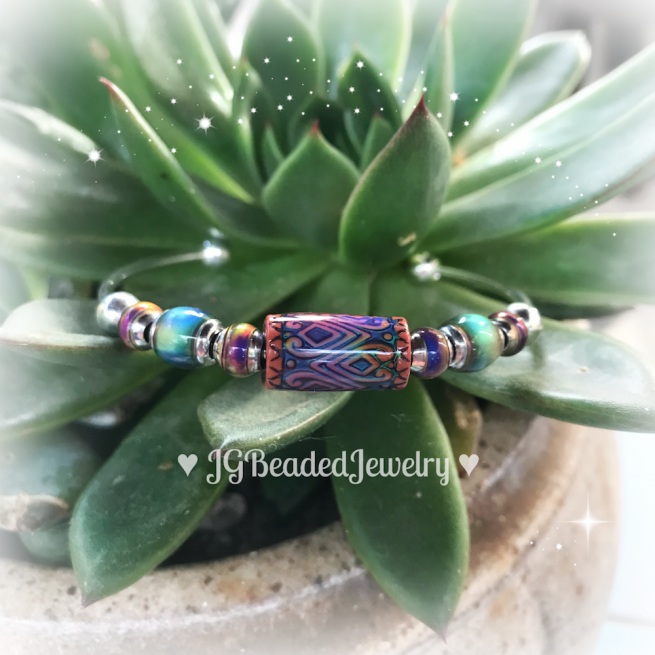 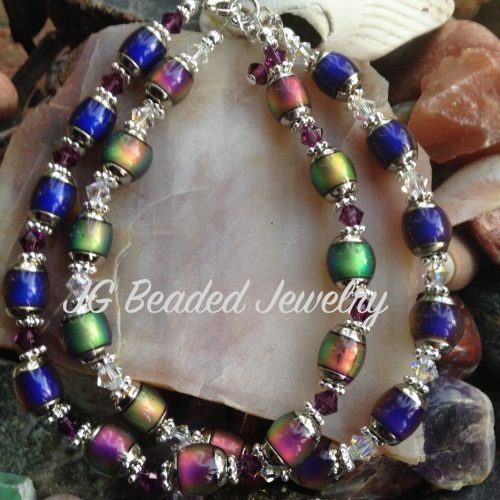 The other 6 mood beads will show off a number of different colors, there are 2 silver beads that hold the others in place to keep them from sliding. 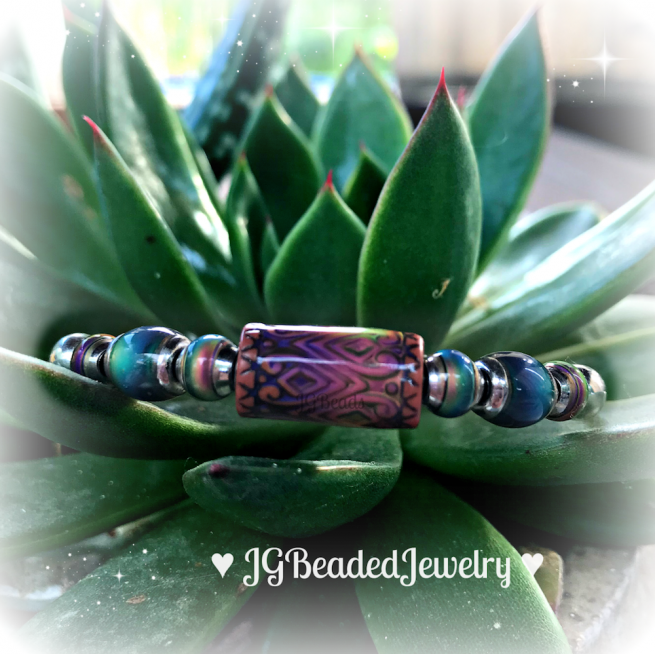 The bangle slips onto the wrist comfortably, can be shaped to fit your wrist, it is lightweight and fun to wear! The mood beads are top quality and are filled with thermo-sensitive liquid crystals which gives them the ability to change colors! 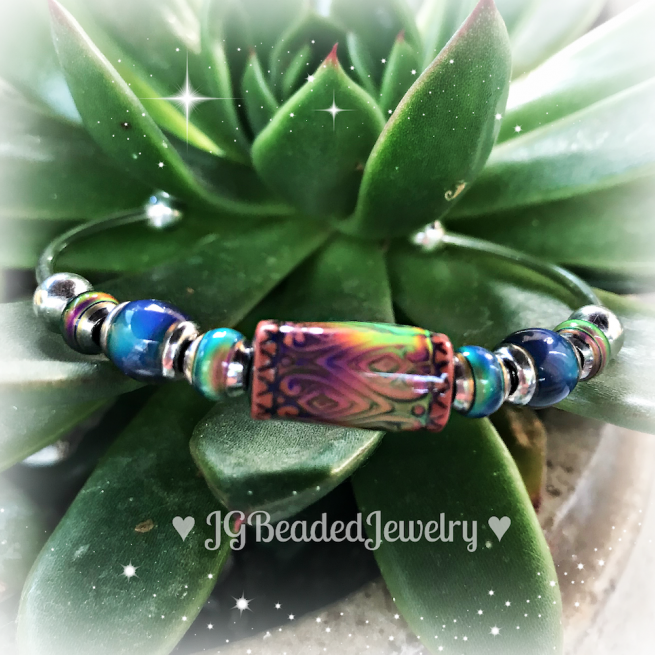 Not only is mood jewelry a great gift for someone you love or that is difficult to buy for, but a wonderful treat for yourself!! 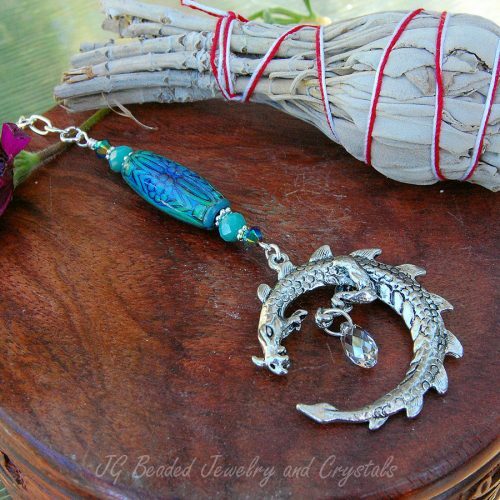 It is highly recommended to remove your mood jewelry (and other jewelry) before getting into water to assist with longevity. 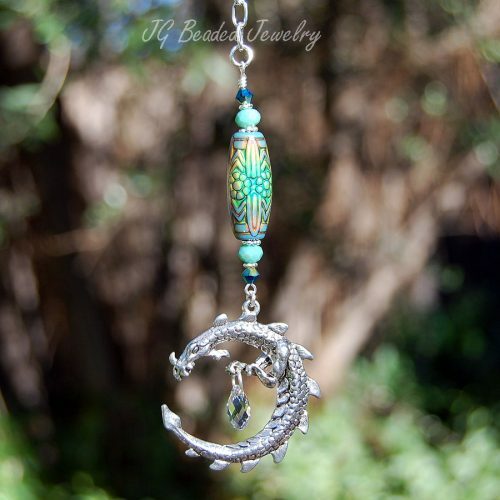 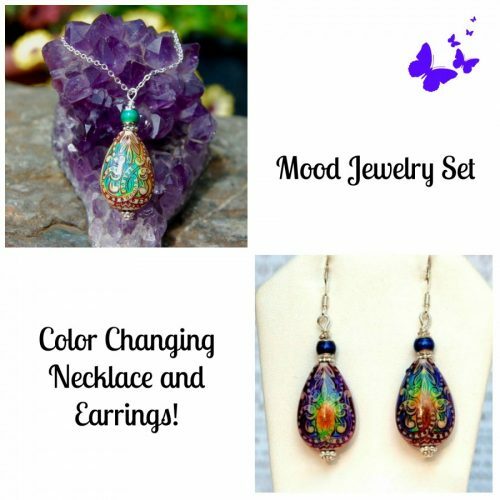 You can also find Mood Suncatchers and other Mood Jewelry here! 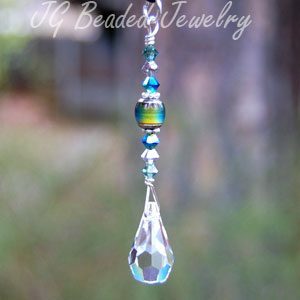 If you are sending this as a gift and would like a personal note included, please leave a note at checkout and I will take care of the rest! 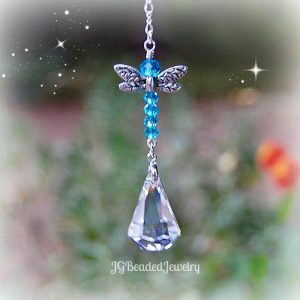 Offering unique handcrafted Jewelry, Rearview Mirror Decorations and Crystal Suncatchers!